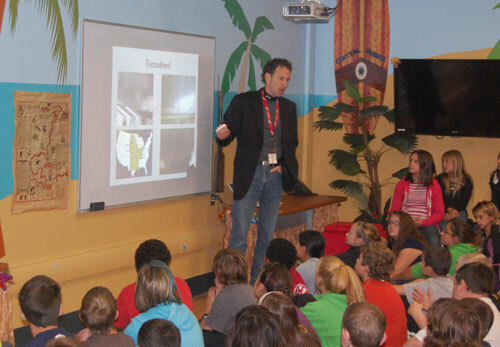 Eric Horst, the director of Millersville University’s Weather Information Center, shared with the sixth grade students at Central Manor Elementary how meteorologists track tropical storms. The presentation helped to supplement lessons taught on forecasting in the 6th grade science curriculum. Just two days after “Sandy” closed schools, Mr. Horst showed the students where the storm developed and how it was tracked. He also covered the tools that meteorologists use to make their weather predictions.